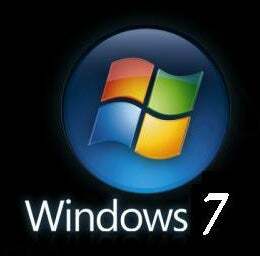 What Does Windows 7 Mean To You? Will the upcoming new version of Windows be yet another Vista for PC gamers to worry about, or will Windows 7 be a boon for the mouse and keyboard set? TechRadar takes a look. When I first upgraded to Windows Vista, I wasn't just disappointed. I was depressed. It looked lovely, had all these new bells and whistles, but bells and whistles take up memory, slowing things down to a crawl. Well TechRadar UK's article on Windows 7 has me feeling a great deal better. Windows 7 is essentially what Windows Vista should have been. They've taken the same OS and streamlined it, making it much more efficient memory-wise. Essentially what this means is you wind up with more free memory and an OS where all the bugs that plagued Windows Vista's launch as far as 3D performance goes are already ironed out. It's like getting a memory upgrade and a lovely new interface. I've yet to try Windows 7 myself, having been understandably worried about screwing up the grudging agreement my PC has reached with Vista at this point, but after reading TechRadar's thoughts I'm feeling a bit more confident. Should I take the plunge?